Garage sales and other things of importance! Are we evolving into a new look profession? 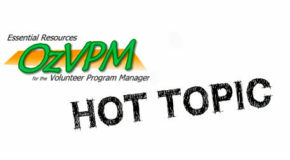 Have we regulated volunteer management beyond recognition?